Welcome to Purley Freemasons Lodge in Croydon, Surrey. Purley Freemasons Masonic Lodge in Croydon, Surrey was formed in 1906. The founders having met at the Cafe Royal in Croydon decided to form a Freemasons Lodge for local people from Croydon and Purley. 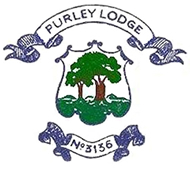 Purley Freemasons Lodge regularly meets four times per year from September to March in the Province of Surrey at Croydon and District Masonic Halls, Oakfield Road, Croydon CR0 2UX. To this day, many members of Purley Freemasons Lodge are local men from a wide range of backgrounds. However, there are those that travel far and wide from other areas - such is the feeling of Brotherly love that makes Purley Masonic Lodge very special. The purpose of this website is to give you an insight into Freemasonry and finding out more about becoming a Freemason in your local area. We welcome enquiries from men from all walks of life. To find out more about joining the Masons in Surrey why not contact us to arrange a visit to Croydon and District Masonic Halls to meet some of the lodge members and find out if Freemasonry is for you. Freemasonry is based on three principals - Brotherly love, relief and truth. 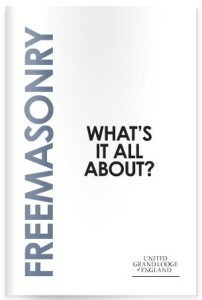 Freemasonry dates back to the 17th Century and now exists in many forms all over the world. In the UK there are over 250,000 Masons and over 6 Million around the globe. Here in the UK Freemasonry is governed by the United Grand Lodge of England and closer to home in Surrey, Purley Masonic Lodge is under the jurisdiction of the Provincial Grand Lodge of Surrey. At the heart of all that we do is charity. Donations are made from three levels - United Grand Lodge of England, London and Provinces and private individual Lodges. Donations are regularly made to Masonic charities for Brethren in distress or to assist widows and families. Non-Masonic organizations also benefit greatly from the generosity of Freemasons.